250 soldiers from Nigerian Army (NA) on Tuesday, stormed Nigerian Union of Journalists secretariat, Kaduna to protest their alleged unlawful dismissal from the Army. Security analysts said if the development were to be confirmed, it was done at a wrong time for number of reasons which include increase coordinated security threat. According to them, they were dismissed since 1st of February, this year because they came late during the last parade of six months intensive training in Jaji. They alleged further that they were part of 3,000 soldiers that were dismissed by NA last year for various offenses in the North-east while fighting the insurgents. 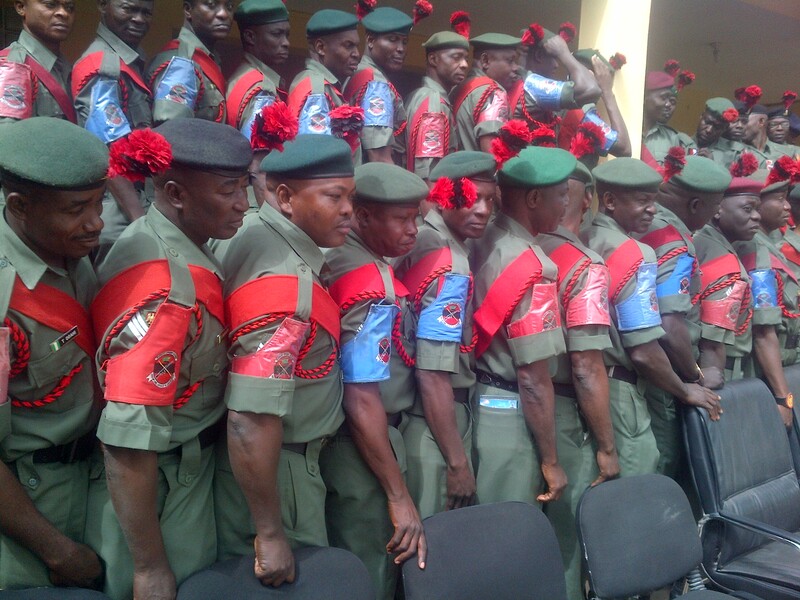 The soldiers, who bargained for anonymity, told newsmen that their coming to the NUJ secretariat was to let the public, especially, President Muhammadu Buhari and Army authority, come to their rescue, saying they were ready to serve punishment if found guilty. “We are young and ready to serve our country, we are ready to serve NA. We have family to cater for. We want us to be pardoned and reinstated back into the Army. “Let them hear, let them hear that after we were brought back from North-east, we have receive three months intensive training and for us to now be dismissed because we came late at the last parade, it sound somehow,” one of them emphasized. Another one lamented, “I have spent over 20 years in the Army. I have also served in the North-east before we were brought back to jaji and now you are asking us to go when we have dependents to cater for,” another embattled soldier complained. When contacted, the Army Spokesperson, 1 Division Mechanized Army, Colonel Abdul Usman, who also speedily visited the NUJ secretariat in Kaduna to clarify the allegation, said he had to contact Jaji for briefing. All along, he was then told the Army headquarters was preparing statement in that regard.